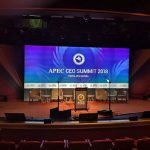 The association meetings market in China is going through major disruption presenting challenges to PCOs along the way, writes Dr. Yvonne Hu, managing director of Conference Interpreter Services. The association meetings market in China is going through tremendous change, from the previously government-subsidised operations to ones that are independent and stand-alone. Hence creating meetings from scratch with an existing association is an area both new and very pertinent.With no precedent to draw from, the thirst for know-how and experience is palpable. The International Association of Professional Congress Organisers (IAPCO) has just finished its third Suzhou EDGE Bespoke Seminar which was attended by participants from all over China, as far-flung as Inner Mongolia, Shenzhen, Guangzhou, Beijing, Tianjin, Hunan, Shanghai, Yiwu and Qingdao among others. Xu discussed the difficulty being faced in expanding an association’s brand and influence in China, when faced with the challenge of a lack of trust with PCOs. Furthermore, associations in China do not pay much attention to their brand promotion, and remain mired in traditional channels of publicity. 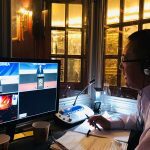 Xu says there is a lot to learn from the experience of the companies represented by the IAPCO faculty members in Suzhou in creating meetings from scratch; either by establishing a brand through the joint efforts of thought leaders, social media influencers, the government and industry stakeholders or helping an existing association to spawn a series of meetings. As the meetings industry in China transitions from a domestic to an international one opportunities abound. 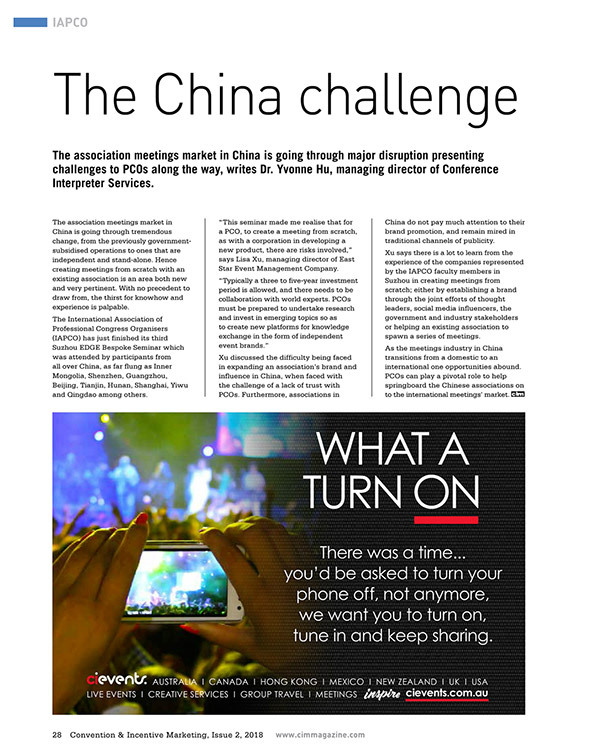 PCOs can play a pivotal role to help springboard the Chinese associations on to the international meetings’ market. Are interpreters and translators doomed to extinction? What is an effective conference interpreter?